The new ad is closing in on 4 million YouTube views in one week. Guess who's lovin it? McDonald's has a new ad campaign. There's absolutely no mention of the name "McDonald's." The ads are part of the chain's first unbranded marketing campaign, in which it is coyly asking people to search Google for "that place where Coke tastes so good." 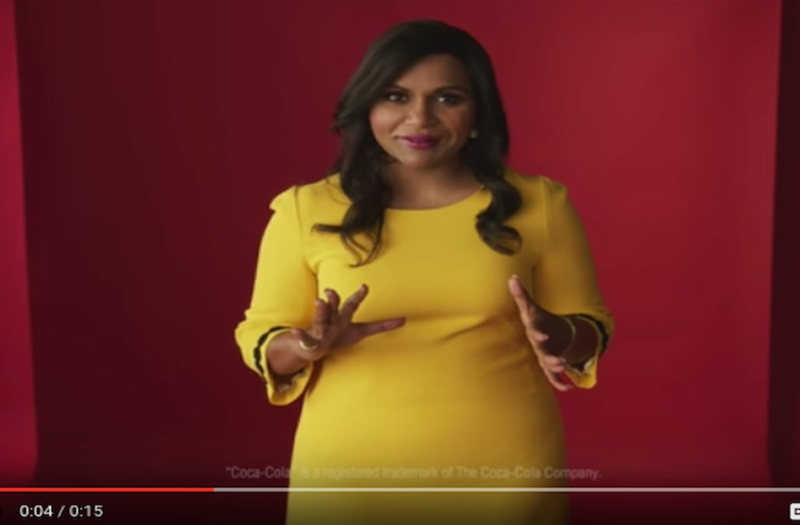 The query, meant to capitalize on millions of search engine results that favor the fast-food chain, is central to the ads where association with the brand is limited to placing Ms. Kaling in a bright yellow dress against a red backdrop. The ads, which started running last week, are meant to play on how teens and twentysomethings use their phones while watching TV, while also acknowledging "how they're discovering information" they trust, said Deborah Wahl, chief marketing officer of McDonald's for the United States. "They are very influenced by word of mouth and what their peers say," she said. Here's the first ad, entitled "Search It," which was posted to YouTube a week ago. Not on McDonald's official page, mind you, but rather on a page with the theme, "That place where Coke tastes SO good." So, what makes this ad so brilliant? It's not just its uniqueness, which has got everyone talking, and some major (free) media coverage--resulting in over 3.5 million views (so far). It's not just an opportunity to get loads of new customers--including Coke fans, who may not even like McDonald's food, but start coming in just to see if their favorite beverage really does taste better there. And it's not just the fact that the ad is interactive, turning you from passive observer to participant, which, if you follow through, will create an indelible, emotional connection in your mind between Google, McDonald's and Coca-Cola. It's not just one of those things. It's all of them. Well played, McDonald's. Well played.